The Almora was a steamship built in 1873 by Wm Denny & Bros, Dumbarton, Scotland for British India Associated Steamers. She was a 2,608 gross ton ship, length 350.2ft x beam 36.4ft (106,74m x 11,09m), one funnel, three masts (rigged for sail), iron construction, single screw and a speed of 10 knots. There was accommodation for 41-1st and 18-2nd class passengers. Launched on 6th Sep.1873, she was placed on the London - Suez - Batavia - Brisbane 'Queensland Royal Mail' service; a 4 weekly service covered (also operated by British India Assoc Steamers) by the Merkara, Roma, Chyebassa and Dorunda. In 1881 she was transferred to British India Steam Navigation Co, but remained on the same route until 1891 when she transferred to the India service. She was scrapped at Bombay in 1894. The New Great Britain was operated by the British Colonial Steamship Company Limited, better known as the Temperley Line. Officially named the British Colonial Steamship Company, Limited, the line became better known as the Temperley Line. The company started operations between London - Quebec - Montreal in June, 1864 and from 1871 westbound passengers were also embarked at Plymouth but most of their business was in the cattle trade. After 1868 the name British Colonial Steamship Company was dropped, principally because Ontario and Quebec combined with New Brunswick and Nova Scotia in 1867 to form the Dominion of Canada. No other name for the company was substituted for several years, enquiries being to the brokers - Temperley, Carter & Darke. In 1872 the name Temperley Line appeared in advertisements and the company was thenceforward known by that name. From 1879 joint sailings with the King Line (Wm Ross & Co) commenced and lasted until 1893 when Temperley withdrew from ship owning, mostly due to intense competition from the Allan Line. Ross Line transferred most of their ships to the New Orleans service. The Merkara was a steamship operated by the British India Steamship Company. Between 1881 and 1896 it made an incredible 31 voyages from London to Queensland, averaging just 57 days. The Merkara inaugurated a new regular mail service on 12th Feb 1881 when she left London for Naples, Suez, Colombo, Batavia, Cooktown, Townsville, Rockhampton and Brisbane; arriving on 13th April. This service filled a gap left by other shipping companies which tended to concentrate on the Adelaide, Melbourne and Sydney routes. A four weekly service was run with the Merkara, Roma, Almora, Chyebassa and Dorunda. All were barquentine rigged, single funneled vessels of between 2600 and 3000 tons with a service speed of around 10 knots. They also chartered the "Durham" until delivery of their new vessels "Compta" and "Camorta" in late 1881 enabled the company to operate the service with their own vessels. The "Merkara" made her last sailing in Oct 1896 and was broken up in Bombay in 1901. Rigging : iron single screw Schooner; 2 decks, 1 of iron & 1 partly of iron; 3 tiers of beams; 6 cemented bulkheads. Tonnage : 3,094 tons gross, 2,919 under deck and 1,996 net. Dimensions : 368.2 feet long, 37.2 foot beam and holds 28.5 feet deep. Construction : 1875, William Denny & Bros., Dumbarton. Owners : British India Associated Steamers Ltd.
First Time Here? Try These. watching : Who Do You Think You Are? I absolutely love this show. 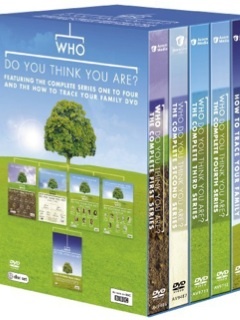 Following well-known people as they trace their own family histories, Who Do You Think You Are? provides a perfect look at how fascinating this type of research can be. And more practically, it demonstrates precisely how to trace your own family tree. There's a great deal of information on these locations in addition to the material displayed on this site - if you're after anything specific, let me know. If you come across any information on the individuals named above, please let me know. Much appreciated. As you might expect, I do more than a little research. I love uncovering the stories of my ancestors. Fantastic. Whether you're just getting started or have been doing this for years, all of the above will make life a whole lot easier. NB : I'd love to find out more about these people, particularly those from the last 200-300 years. If you can help flesh out their stories, please get in touch via my personal site, at scottandrewbird.com / contact . Thank-you.